Developing a cause marketing campaign with Boston Children's Hospital is not only socially responsible, but also a smart business move. As consumers spend more of their retail dollars with businesses that give back to the community, your company will benefit by supporting Boston Children's and helping sick children get better. Boston Children's is the number one pediatric hospital in the country. We treat more than 500,000 kids a year, and nearly all of your existing and potential customers have had firsthand experience (or know someone who has) with the hospital. Our cause marketing team has a broad range of experience working with companies at both the national and regional level including Shaw’s and Star Market, PetSmart Charities, Kohl’s, Dunkin Donuts, Olympia Sports, Panera Bread, Legal Sea Foods and Amica. When you partner with us, we work with you to design a customized program to fit your marketing and business goals. We also assign an account manager to assist with all aspects of the program’s conception, creation and execution. To discuss a cause marketing program with Boston Children's for your company, please contact Charles Savicki at 857-218-3184. We have many cause marketing initiatives throughout the year. Learn about programs that are currently running. 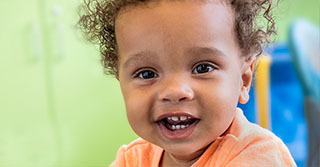 Every summer, Shaw’s and Star Market offer their customers the option to Give a Smile to a patient at Boston Children's by making a donation at checkout.